Barbados’ ministry of tourism and international transport named the boards of directors for Barbados Tourism Marketing Inc. (BTMI) and the Barbados Tourism Product Authority (BTPA), two new agencies created in September to replace the Barbados Tourism Authority. Alvin Jemmott will chair the six-member BTMI, which will include Kashka Haynes, the tourism ministry’s permanent secretary, , according to press reports in Barbados. Cecil Miller will serve as chairman of the seven-member BTPA, which also includes Susan Springer, executive vice president of the Barbados Hotel and Tourism Association, and LeRoy Trotman, General Secretary, Barbados Workers’ Union, in addition to Haynes, who will serve on both boards. William “Billy” Griffith, most recently director of tourism for Bermuda, will serve as BTMI’s chief executive officer. A chief executive for BTPA is expected to be named “in due course,” according to officials quoted in a Barbados Advocate online article. Barbados officials are seeking reverse slipping tourist arrivals in recent years, although tourism sources have recently cited positive developments, including this winter’s launch of new nonstop flights from New York and Atlanta via Delta Air Lines. In addition, Dr. Deleslie Worrell, an official at Barbados’ central bank, today said airlift from the U.S. and Canada this winter will increase by 9 percent and 20 percent respectively. Yet recent Caribbean Tourism Organization statistics reveal a destination struggling to keep pace with arrivals posted by other Caribbean nations. 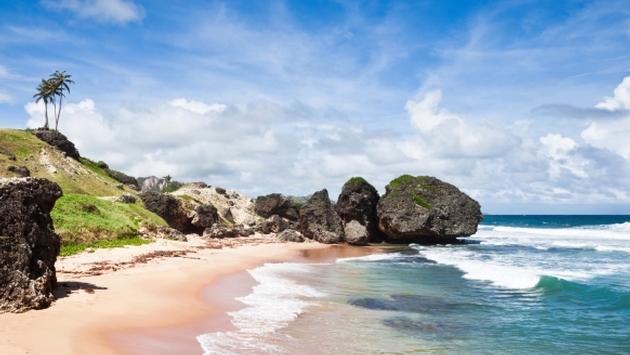 Barbados hosted 311,732 overnight visitors between January and July of this year, a decline of 0.2 percent from 2013. Cruise ships visitors are down as well this year, with the 353,788 passengers between January and July representing a 1.8 percent decline. In addition, the 508,520 overnight visitors hosted in all of 2013 represent a 5.2 percent decline from the previous year. Barbados’s cruise sector did experience success in 2013, hosting 570,263 passengers, a 10.2 percent compared with 2012. Barbados’ hotel base is expected to receive a boost when Sandals Resorts International (SRI) completes a $65 million renovation of the Sandals Barbados resort, which the company acquired in February. Company officials have not yet announced an opening date for the re-furbished resort but Gordon “Butch” Stewart, the company’s chairman recently told TravelPulse that work is commencing on schedule.